On Thursday the 20th of October, I opened up WGC and it seemed WoT wanted to update, so I allowed it. My firewall popped up and I clicked "always allow", but the update was stuck on "extracting updates 6%" and I waited for two hours. After that I restarted WGC, and there was a notification saying my game files were corrupt, and it needed to check the files. Another two hours gone. My WoT was not working, and I wanted to use the day off to Complete my grind of the Konstrukta T-34/100. 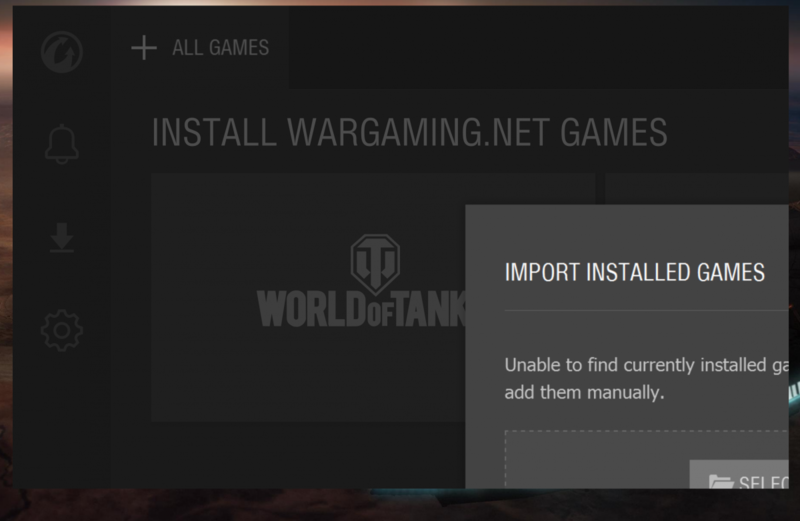 Nevertheless, I uninstalled WGC and WoT, and downloaded WoT standalone. I was able to get an Ace Tanker on the K T-34/100, and finally finished my K T-34/100 grind. I believe it was the patch on Thursday October 20th for World of Tanks North America. Unfortunately, I did not take a screen shot, but before I re-install WGC, I would like to make sure from the Developers that next time an update occurs, it won't interfere with my firewall, because before Thursday, WGC never reacted weirdly with my firewall, and never displayed corrupted game files in case I have to close/reopen WGC during an update for World of Tanks. I am running Windows 8.1 RT on an ASUS 13.3" TP300L convertible ultrabook with a total full screen resolution of 1366x768. Once again, just confirming that I have uninstalled WGC until it gets patched, as half my day went in trying to analyze why it was acting up. I thank you for your time in this matter. If you have any other concerns, feel free to send me a message, and I will get back to you accordingly and ASAP. Edited by Fasteroid, Oct 22 2016 - 23:18. 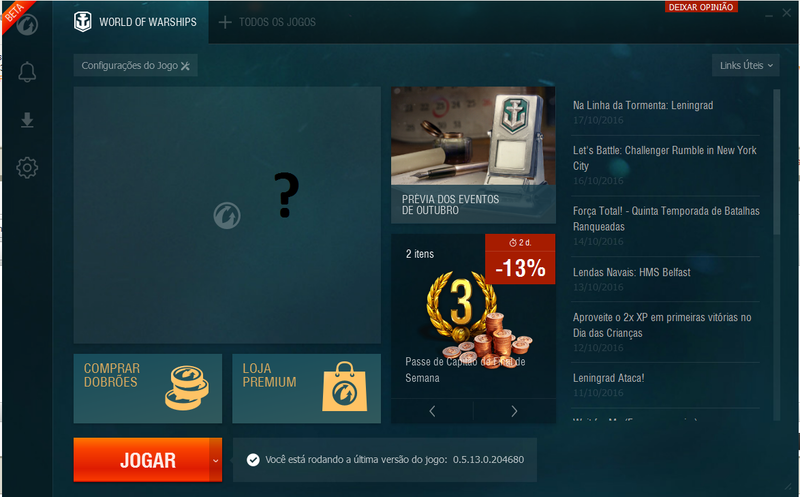 ​Estou adorando o WGC, porem uma observação que tenho feito desde que instalei o novo launcher, é que a tela de noticias com maior destaques, não está apresentando absolutamente nenhuma informação. vocês poderão observar na imagem em anexo. Hello Wargaming.net!! I'm loving the WGC, but an observation I have made since I installed the new launcher, which is a news screen with greatest highlights, is not showing absolutely no information. You can observe the image attached. Edited by Fragata_Odin, Oct 23 2016 - 15:39.
researched tier 7 swede leo and the game took my exp and didnt give me the tank. i took a screen hsot but i cant upload file.WHY? Automatic Team damage team Kill system has a few flaws that may not be codeable. Here is what happened to me I had a Team player Threaten to attack me on a game (Bullying/Harassment) He later not only did attack me but killed my tank. As I tried to defend myself the automated system recorded my attempt as a violation. I have a recording of the game. Situations like this NEED a human to accept challenges & deal with such players. I would suggest adding Bullying/Harassment to the list of reportable actions. Maybe the system can turn said offending tank Neon Yellow a second report turns it Neon Red a third Neon Blue. IF reported tank rams the victim It becomes a blue tank If said tank fires on the player the offending tank receives the damage. the victim is unharmed The Victim tank CAN fire on the attacker if defending without penalty at any color. ALL of this MUST be reviewed by a human in case the system is abused. So lets say the attacker reports the victim once the victim files a challenge they send in the recording. Should the review see that the attacker DID abuse the system the victim's penalties are removed & awarded TRIPLE points. If The victim reports then the victim gets DOUBLE points. So if the attacker is rewarded say 75,000 silver for the game plus 6000 silver for the win and 600 XPTS then they are stripped of 50-75% of that depending on their actions. all these free so called download games have ransomware so be careful before downloading these games. I just updated my client to patch 9.17.1 and I used researched the Tier X signal range of the M41 HMC and it says I can't purchase and install it because it isn't compatible. But when I try to it tells me it is compatible with the list of the following tanks and the M41 HMC is the first tank listed. I also closed and relaunched the game and it didn't fix anything. Is this a bug? I am playing WoT since almost the beginning of the game. First on EU servers now on NA. The game was getting better and better every year. However I am very disappointed with last update to MM. I have never, had situation that I am able to win only 3 game out of 30. I can see from the beginning of the game that it is impossible to win because of the tank configuration on each site. I thought , ok I had bad day. Next day is the same, REALY??!!!. Now if I want to win I have to play in platoon with my friend which are not always online unfortunately, other way it is impossible to win. Whatever you have done to MM, you have done this badly. What's with the match making? My last match was a tier 8. We had 2 heavies 1 tier 8 and 1 tier 6. The other team have 7 heavies 4 of them tier 8's, 1 tier 7 and 2 tier 6. Needless to say they just ran over us! I've had a lot of these since the last update and thinking about taking a break until this improves. One thing that I noted this evening was that the WoT panel on the WGC will not open the WoT game. When you hit play on the bottom, it changes to game starting and then nothing happens. Managed to get things rolling by getting out of the WGC and trying again. WoT Blitz in on both my desktop and laptop but I cannot import them into the WGC like I can the others. What file should I be looking for to get this or do I download from the game centre. I find that when in auto-aim mode my gun wont fire. Have noticed on Skorp, RHM and now Batchat 25t. Obviously very diff to fight fast game and lose this ability. I tried to attach batchat game for you but file rejected. Ok, I first saw the Game Center one day when I opened Warplanes. Since then I have installed and uninstalled it 3 times and it still won't work. 1: It only imports two games, I have three. 2: It is "Unable to download updates. ", 3: Because the games are linked to this hub, if it's uninstalled, you still can't play the games. Please help me. Hi, did you have change password | reset password ? https://worldoftanks.eu/en/sandbox/ . First of all you have to reset password then you can log in sandbox test server.